Made it Monday! It worked. I always get excited when you get an idea and it actually comes together as planned. This week I made my niece her other birthday present. She asked for a drawing pad from me. Well I just could buy a drawing pad and call it good so I made it fancy! 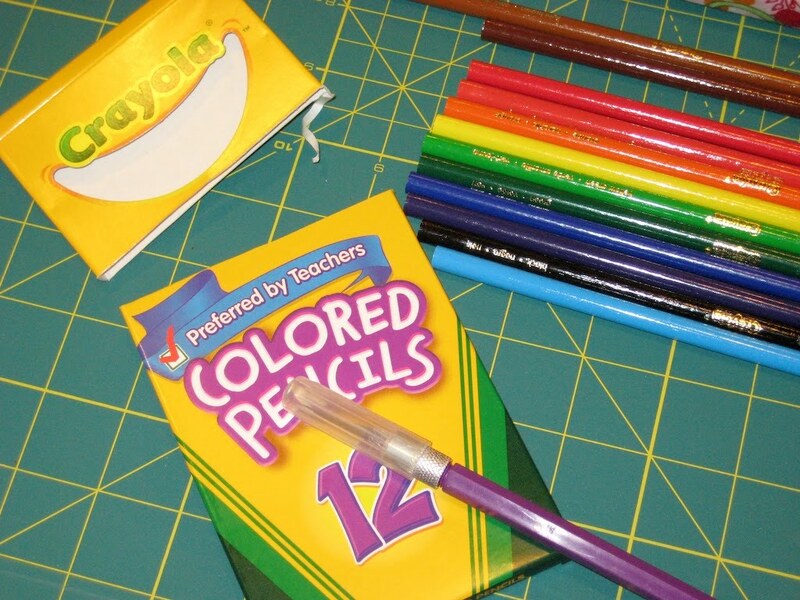 The first thing I did was buy the drawing pad and coloring pencils from Target. 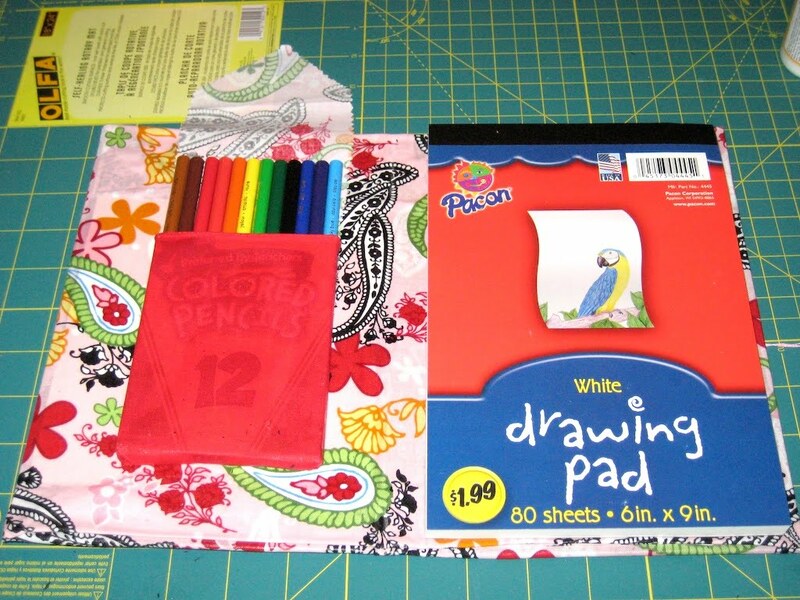 Then I took them to Goodwill to find an old book that the drawing pad and pencils would fit inside. I found the perfect one and only spent $1. Next a quick trip to Hobby Lobby to find the perfect fabric! 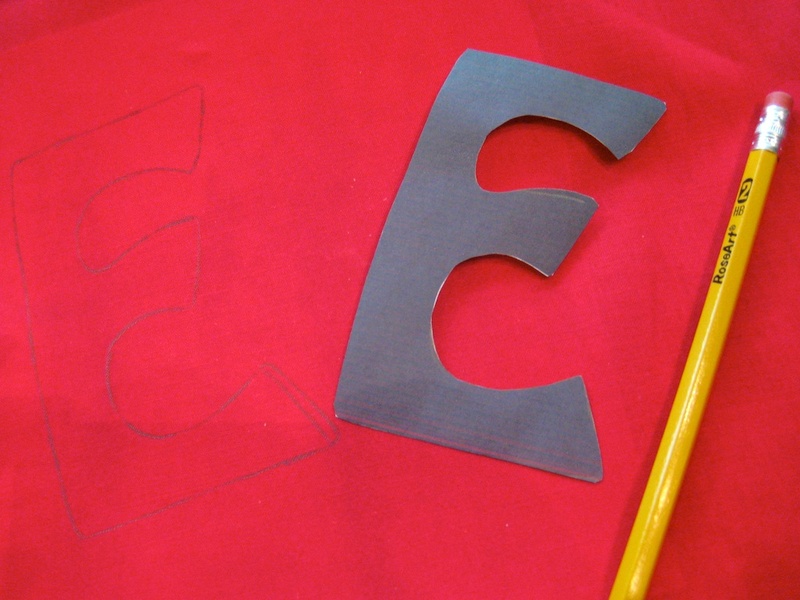 First step is to lay out your materials and cut your fabric. 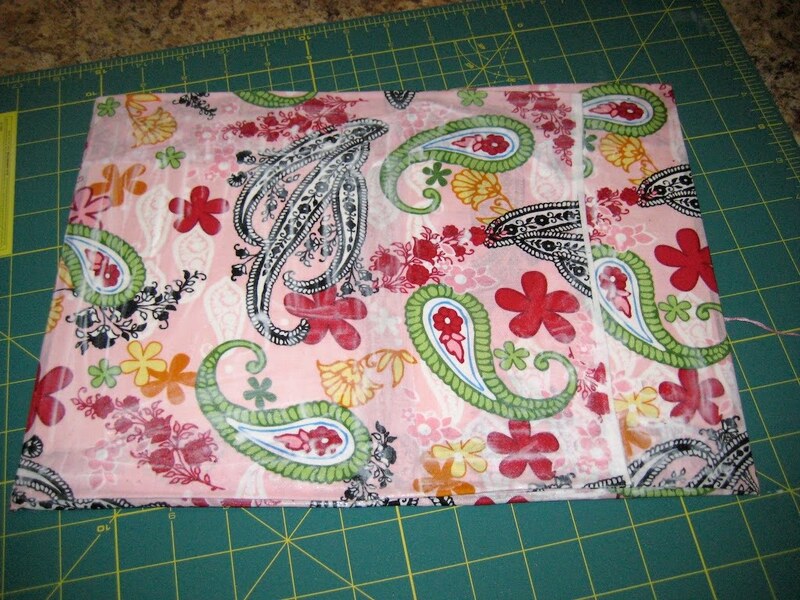 I choose to have the fabric overlap underneath the drawing pad so the seam would be less visible. 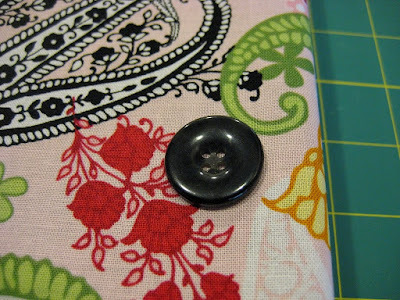 The I sewed a button on the front and a string on the back of the fabric. The button and string will help the book stay closed. 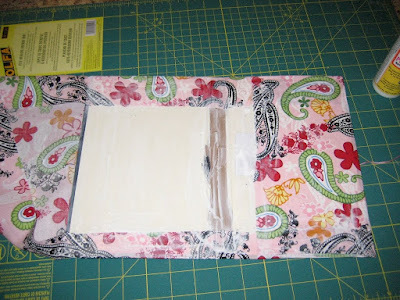 This step needs to be done before you Modge Podge the fabric to the book. Start the gluing process. 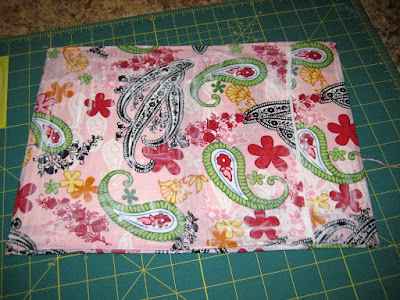 I started with folding the top and bottom edge down then moved to the sides. 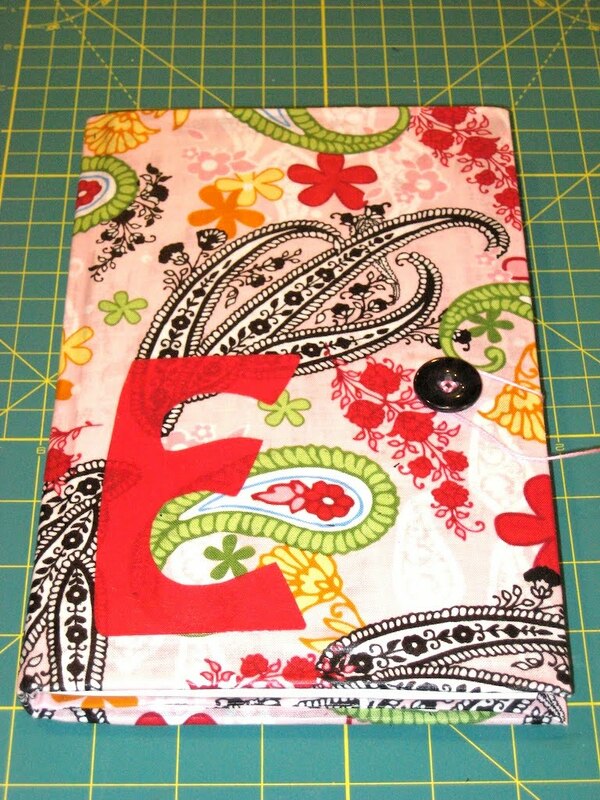 Put a generous amount of Modge Podge on the book cover and on the top of the fabric. It should be "wet" when you are done. Make sure to brush it smooth. 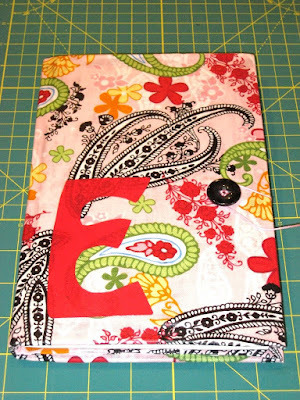 I wanted an E on the front of Emily's book so I printed one out in a font that I liked and traced it on some red fabric. 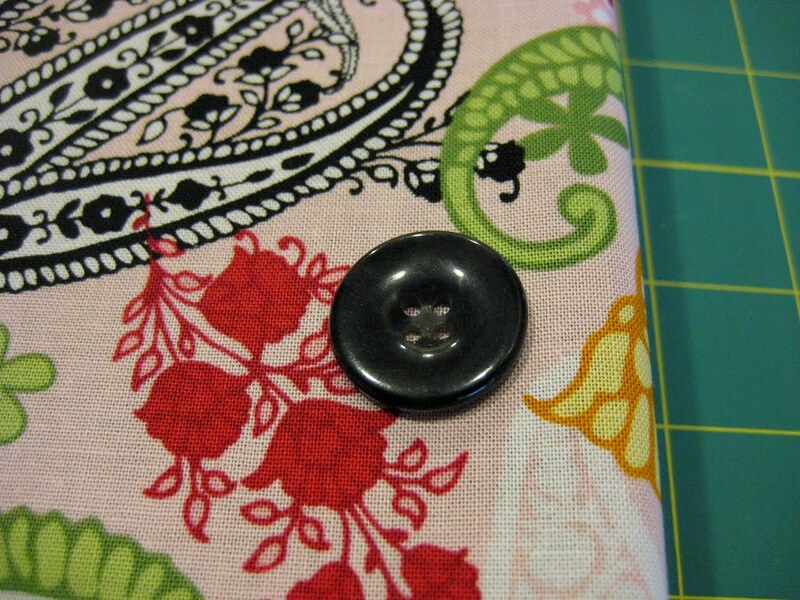 I ironed on some adhesive which made the fabric stiff and cut it out. Next I ironed the E to the front of the book and then Modge Podged the front, spine, and back of the book. 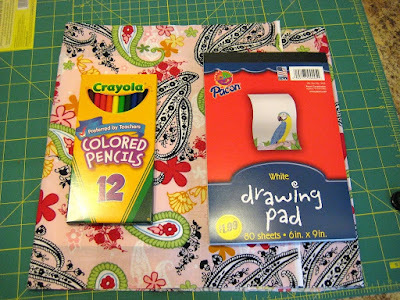 While the book was drying I cut off the top of the pencil box and covered it with the red fabric. Modge Podge the fabric to the box leaving an opening for the pencils. 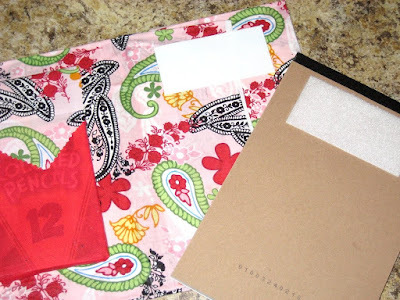 I attached (with Modge Podge) a rectangle piece of fabric to the top of the pencil box and cut one end in the shape of an envelope. 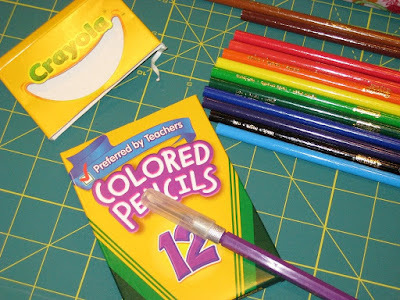 This end is long enough to come over the top of the pencils to help them stay in the box. I attached a small piece of velcro to the fabric and the box to help it stay closed. Next I attached a piece of velcro to the back of the drawing pad and the inside of the book to hold the pad in place. Hopefully this will allow her to change out the pad once she done with it. In retrospect I would have sewn an elastic band to hold it in place...but that has to be done before the modge podge begins. All done! Works great...hope she likes it! 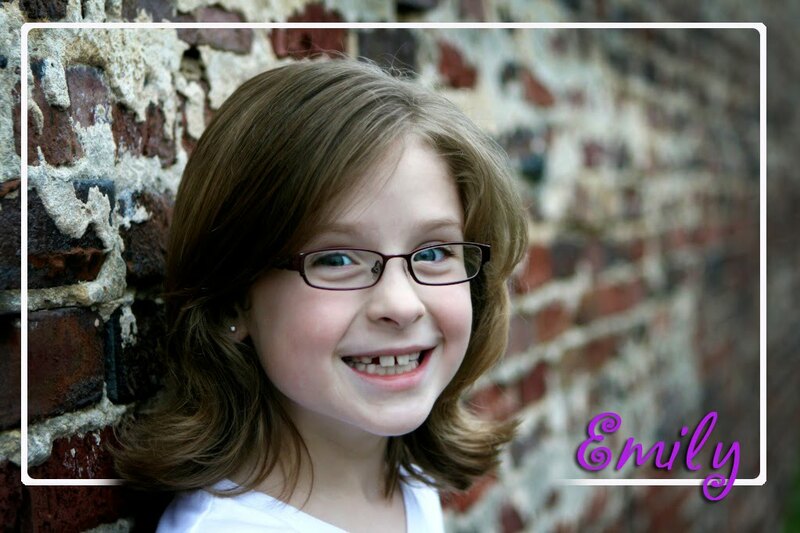 Very easy project and very fun to do!